1. 1986 M&M and British Telecom announce JV with 44% and 38% holding, respectively, in the incorporated company Mahindra British Telecom. 2. 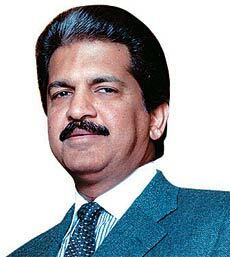 April 2009 MBT, renamed Tech Mahindra, emerges as top bidder for a 31% stake in Satyam Computer after the Satyam scam; pays Rs 1,760 crore. 3. March 2010 British Telecom sells off 8.07% stake in Tech Mahindra to the US-based communications firm AT&T for $34.5 million. 4. December 2010 M&M acquires 5.5% from British Telecom's remaining 29.9% stake in Tech Mahindra for Rs 451 crore. 5. April 2011 British Telecom seeks bids to sell off another 10% of its stake in Tech Mahindra.